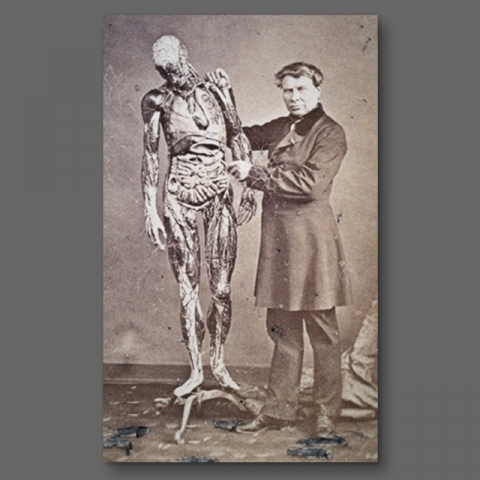 Dr Louis Auzoux (Louis Thomas Jerome Auzoux) (1797-1880) was a French anatomist. 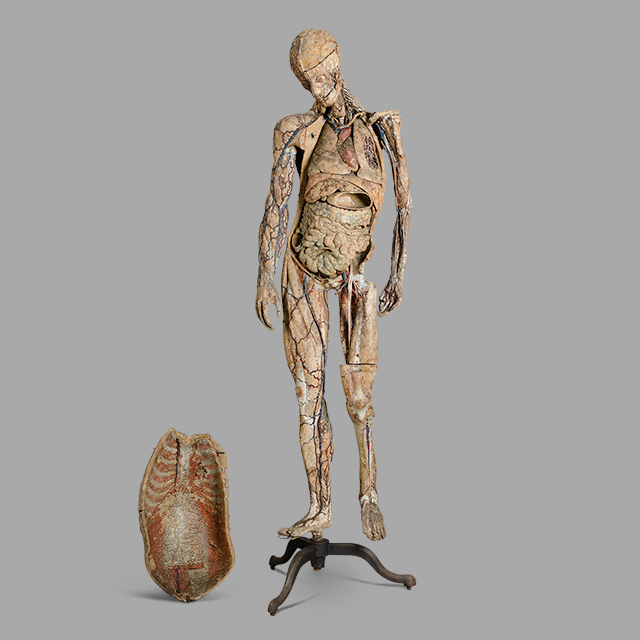 He is known for his large scale anatomical ,zoological and botanical models for educational use. As a medical student, Auzoux was frustrated with the shortage of human and animal corpses available for studying anatomy. 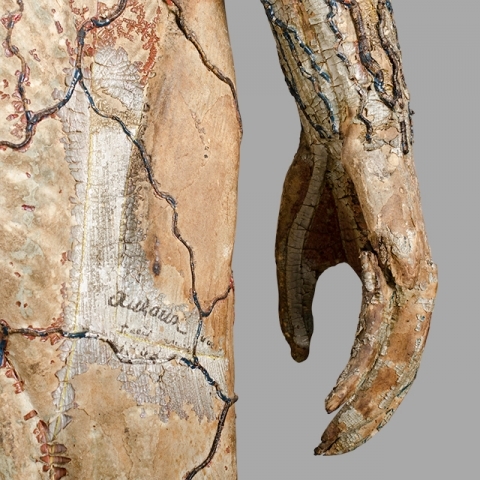 In 1820 while visiting the papier mâché workshop of Francois Ameline, his ingenious idea to produce papier mâché models was envisioned. 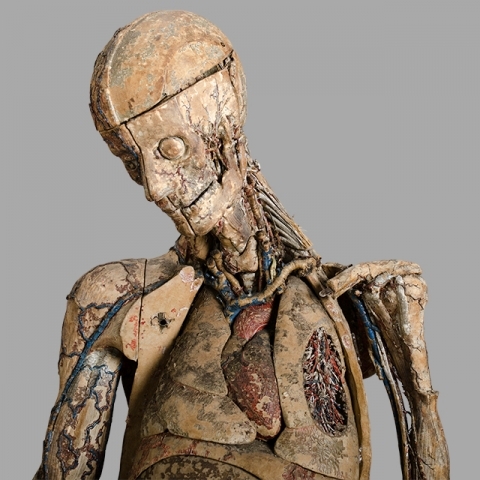 In 1828, he set up a workshop which made accurate human and veterinary anatomical models in SaintAubin-d’Ecrosville, in Normandy. He became a lecturer in universities and exhibited his papier mâché models during his lectures. His models became famous at Industrial shows during the second half of the 19th century, such as the Great Exhibition of 1851 in London, where they received praise. This is the largest male model Auzoux made and very sought after. There could be a small part missing but it does look very complete. The original paint is shot with every bit of it holding on for dear life. That said… the deep patina transforms the body into something special. It sits on the original metal legs.